Ozhotels provides business and leisure travellers with a directory of independently owned and non-related hotels and serviced apartments providing accommodation in North Melbourne. 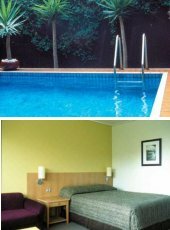 Oz hotels allows you to deal directly with the hotels and apartments in North Melbourne, hence giving you the best possible rates for this luxury and budget North Melbourne accommodation. Book your accommodation online directly with the hotels in North Melbourne and receive discount rates for longer stays !!! 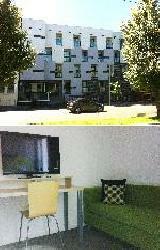 North Melbourne is a central, quiet suburb situated only 2 kms north of the Melbourne CBD. North Melbourne has recently become frequented by a younger demographic with the recent opening of many cafes and boutiques along the main shopping strip of Errol Street. 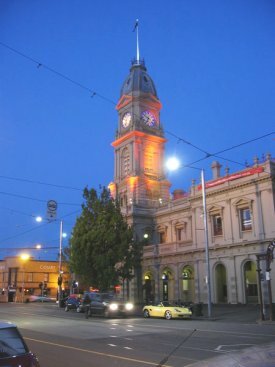 There are a number of attractions located close to North Melbourne including the abundence of produce and craft shopping at the Queen Victoria Market, The Royal Children's and Royal Women's Hospitals and of course the Melbourne CBD which is easily accessed by the 3 tram routes and train line. The annual 'Spring Fling' street festival is held in North Melbourne around October and features market stalls, workshops, free children's activities, artists, performers and musicians. North Melbourne remains an attractive accommodation destination because of its close proximity to the city, quiet location near the expansive Royal Park & Melbourne Zoo and the uniqueness of the Victorian-style terrace achitecture. City Edge Apartments North Melbourne offers quality Double & Twin self contained studio accommodation in North Melbourne, which is close to the Melbourne city centre and all that the central city area has to offer. Melbourne's famous Lygon Street restaurants, Queen Victoria Market, Royal Childrens Hospital, Royal Womens Hospital and Melbourne University are all within walking distance of the City Edge Accommodation North Melbourne. 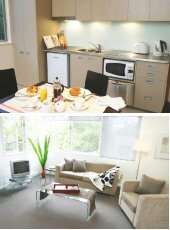 The Cityedge Apartments North Melbourne has a numerous guests facilities and services including child minding, faxing facilities, guest laundry, lift, tour desk, bbq and baby cots available. Also the Flemington and Moonee Valley racecourses, Melbourne Zoo, Etihad Stadium, State Hockey & Netball Centre and many hospotials are just a short tram ride away. For business or holiday accommodation in North Melbourne the City Edge North Melbourne is the perfect location. If you are looking for great value long term apartment accommodation in North Melbourne then look no further than the British Apartments. 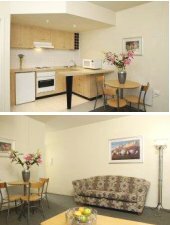 Positioned in the heart of North Melbourne the British Apartments provides fully self contained accommodation with all of the facilities that the busy traveller needs to feel right at home. Surrounded by Melbourne's main attractions such as the Docklands, Telstra Dome, Queen Victoria Market, Melbourne Zoo and many other iconic locations the British Apartments North Melbourne is an affordable luxury 4 star accommodation. Conveniently located to the Melbourne city centre and opposite Melbourne's Royal Children's Hospital the Mercure Hotel North Melbourne has been recently refurbished to offer sophisticated four star hotel accommodation. With a range of guest hotel rooms complete with simple & stylish decor the Mercure Hotel North Melbourne includes such hotel facilities as the Polo Bar & Cafe, outdoor heated swimming pool, sauna, 3 conference rooms and ample under cover complimentary car parking. All of these North Melbourne hotel rooms include luxurious ensuite bathrooms, tea/coffee making facilities, individually controlled air conditioning and complimentary Foxtel channels. Stay in style and comfort at the Rydges Hotel accommodation in North Melbourne. The North Melbourne Serviced Apartments provides exceptional discount fully self contained apartment accommodation for long term stays. This makes it the perfect accommodation in North Melbourne for both corporate business travellers and leisure guests alike. The North Melbourne Serviced Apartments provides a choice of studio, one and two bedroom serviced apartments that are extremely comfortable and located only a short distance from the Melbourne city centre, Queen Victoria Market, Royal Children's Hospital and the Royal Women's Hospital. Discount apartment accommodation in North Melbourne with easy access to the Flemington Race Course where the world famous Melbourne Cup is held on the first Tuesday in November.